Yesterday, 21 February, Oxford University Press Pakistan (OUP) organised its first Digital Education Roadshow at the head office in Karachi. The event was held as part of OUP’s search for business partners who can provide cutting-edge solutions that contribute to OUP’s vision of enhancing learning through quality digital resources. Asian Books Blog is based in Singapore. Lion City Lit explores in-depth what’s going on in the City-State, lit-wise. 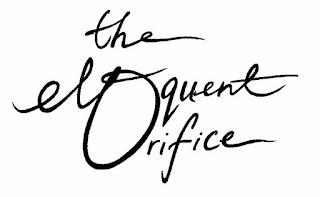 In Lucía Damacela’s fourth installment of her series about Singapore online literary magazines, her focus is on The Eloquent Orifice. EO is always open for submissions of original literary pieces, articles and art works. Published twice a year, one issue is out at the beginning and one at the end of the year. Their sixth and seventh issues combined are soon to be released. Geraldine Tan, an editor and writer currently doing post-graduate studies in Melbourne, and Crispin Rodrigues, and educator, writers and editor, responded to questions about the magazine’s history, purpose and functioning. Hello anybody out there...After the temporary closure since November, the blog will be reopening tomorrow, with normal service resumed within 2 weeks - when I get back to Singapore from the USA.